A vacation wouldn’t be complete without indulging in some retail therapy. Located near Panama City’s gorgeous beaches, you won’t have to go far to enjoy everything Pier Park has to offer. 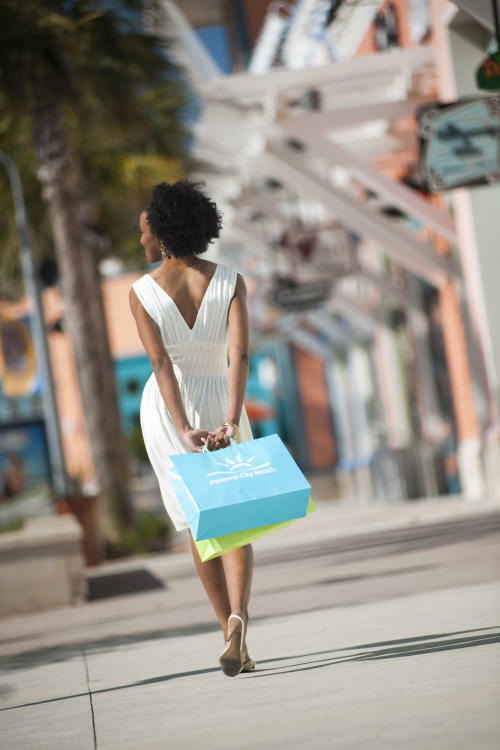 Take a leisurely stroll from store to store, while still enjoying the warm Florida sun. Pier Park may have 124 stores, but there’s no reason to feel overwhelmed. Just think of it as something for everyone, and come back as often as you’d like! Do you follow the latest trends? Is your Instagram feed full of the best fashion bloggers? Go on a style scavenger hunt! Choose from Charlotte Russe, Forever 21, Francesca’s, Torrid, Buckle and Hollister. And if you’re on a budget, you won’t break the bank if you find a ton of cute outfits and can’t choose between them all. If your style is more All-American, Pier Park offers the best stores to get that classic look. Head over to American Eagle Outfitters, Old Navy, LOFT and Lane Bryant. Pier Park also has department stores like Target, Dillard’s, JC Penney and Marshalls so everyone in the family can shop till they drop. A cute outfit deserves the perfect accessories to complete the look. Pier Park does not disappoint on that front. Stop at Claire’s, Charming Charlie’s or Accessories on the Boardwalk for all things trendy. Top off your sporty look with a visit to Lids. And since this is Florida, you can never have too many cute pairs of sunnies. If you can’t find the perfect pair at Sunglass Hut, Sunglass World, or Costa Sunglasses, you’re not looking hard enough. Want to take that beach vibe back home with you? Pier Park Mall has the stores you want so you can always feel like you have your toes in the sand. 30 A, Coastal Casuals, Latitude 29, and Ron Jon Surf shop have just what you need so you can feel like you’re in Panama City Beach all the time. Speaking of toes in the sand, there are some times when shoes must be worn. Luckily, Pier Park has a variety of shoe stores no matter your style or the occasion. Looks for the whole family can be found at Payless Shoe Source and Rack Room Shoes at budget friendly prices. If you want a pair of flip flops for every day of the week, check out Coastal Soles. For the ultimate comfort shoe, head to the Crocs store, but if trendy is your vibe, Journey’s is your one stop shop. Of course you want your kids to be stylish too. You’ll find children’s apparel stores at Pier Park Mall like Carter’s, Justice, and Osh Kosh B’Gosh. For the kid in all of us, stop by Toy Kingdom for latest toys, games and entertainment ideas. For the big kids, RMG Toys has a wide selection of drones, hover boards, and electric cars to dial up the fun and get your heart pounding. And a vacation wouldn’t be complete if you didn’t bring back gifts for friends and family. 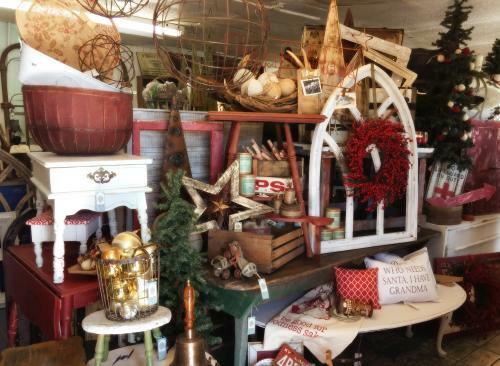 Pier Park Mall has a variety of gift stores to satisfy everyone on your list. Candymaker and Kilwin’s Chocolates and Ice Cream will satisfy the sweet tooth in your life, while Popcorn Kingdom and Beef Jerky Outlet will appeal to more savory snackers. For whimsical gifts, look no further than Spencer’s or the Pepper Palace. For that special someone, Pier Park has a variety of jewelry stores like Kay Jewelers, Zales and Shimmering Seas Jewelry and Gifts. No matter what you’re looking for, you can load up on the latest fashions for men, women and children, toys and games, and accessories and gifts of all kinds. 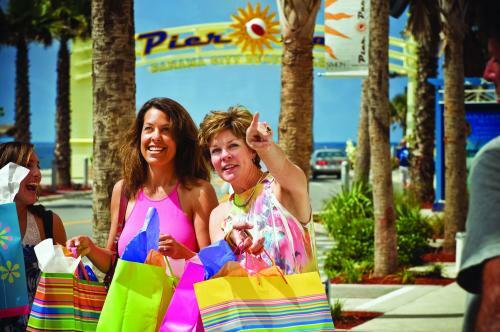 With its variety of stores and convenient location, Pier Park is your Panama City Beach shopping sanctuary.